One of Five Commercial lots available located just east of Arena Village limits. Bordering up to Hwy 14 with visual access for any business. 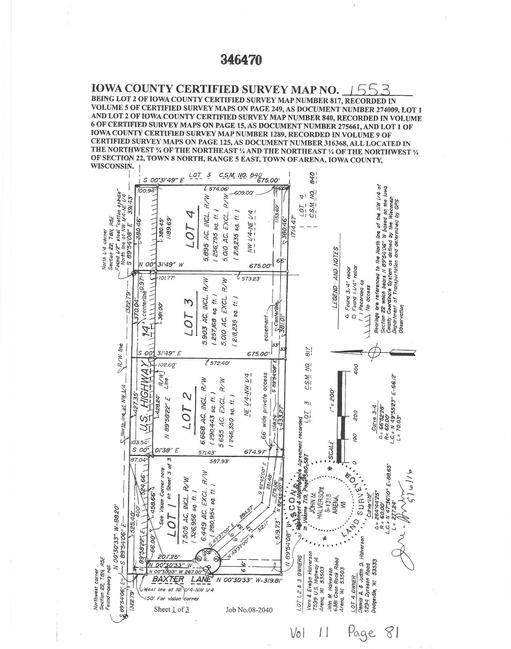 Town Road access, to include black top and highway pulloffs, included in list price. Zoned B2 Commercial. Driveway has been improved, includes cul de sac at end of Town Road and shared access driveway thru lot 4. Within 30 minute drive to Madison. Directions: 30 miles west of Madison on Hwy 14. 1/2 mile east of Arena.